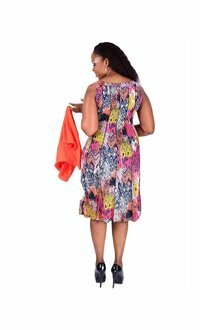 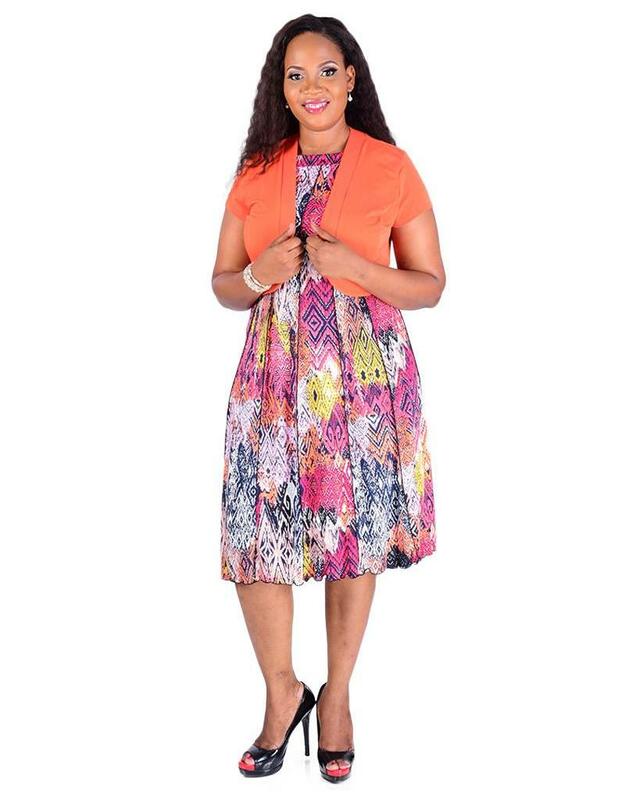 Colorful and fresh, this printed dress with crop dress is a great option for graduation or Church. 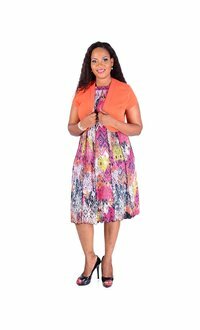 The dress features a modern print with princess seams throughout for a slimming look. 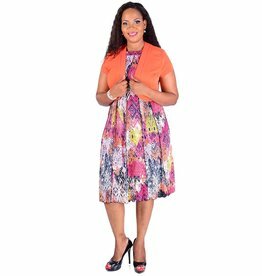 The jacket features short sleeves, open concept – the jacket finishes just above the waist.